Recently, it was Jax’s birthday, and it has now become a tradition to throw a backyard BBQ for her and all of her friends. 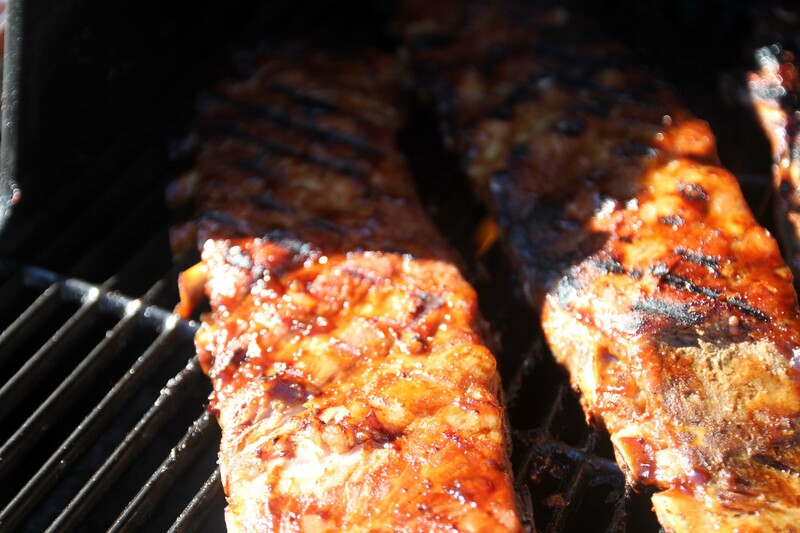 One item that is easy to make, and share amongst 50 people are racks of ribs. Since you are able to do most of the prep work well ahead of time, you can plan ahead which will leave you with more time to do other things – namely drink! First prep the meat by washing it, patting it dry, and cutting off excess fat. Most people like to cut off the tough sinewy stuff on the back side, but I’m too lazy. Takes too much effort when you are making 4 racks at the same time. 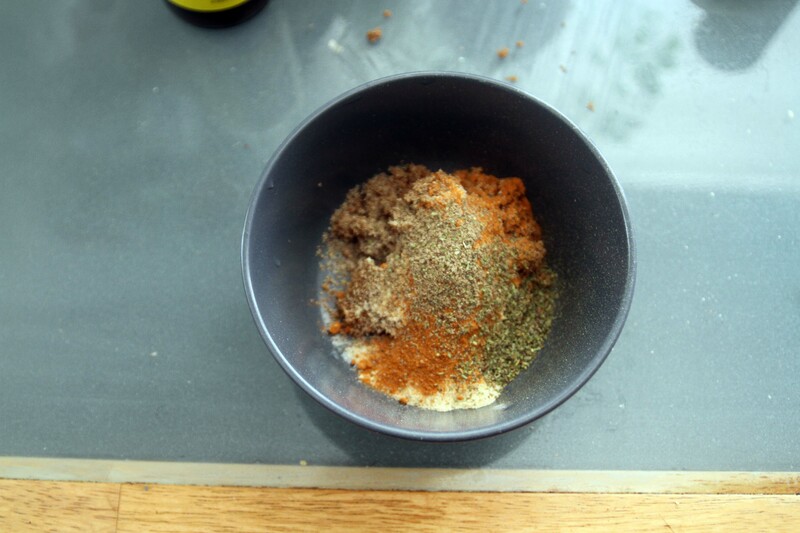 Combine all of the dry rub ingredients together in a bow. 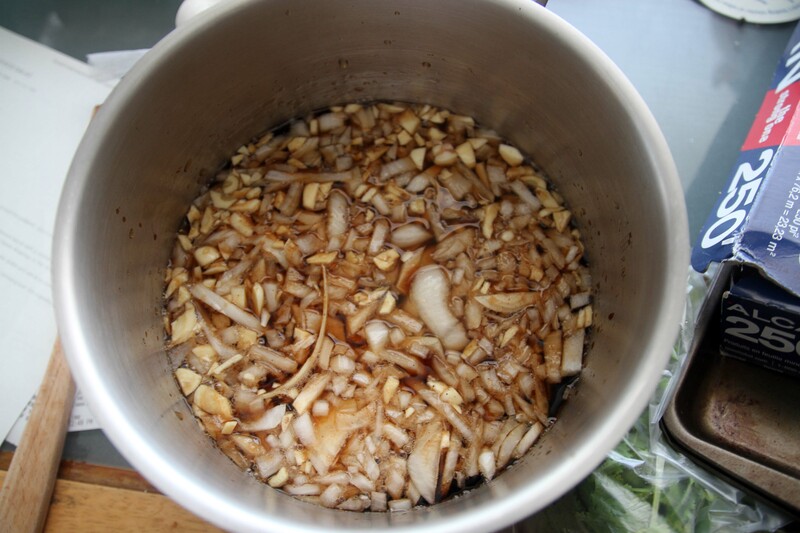 Grab each of Garlic Salt, Onion Powder, Black Pepper, Salt, Chili Powder and Brown Sugar, and mix together. For my own taste, I use more garlic salt than onion powder, slightly more brown sugar, and just a twist of black pepper and salt. 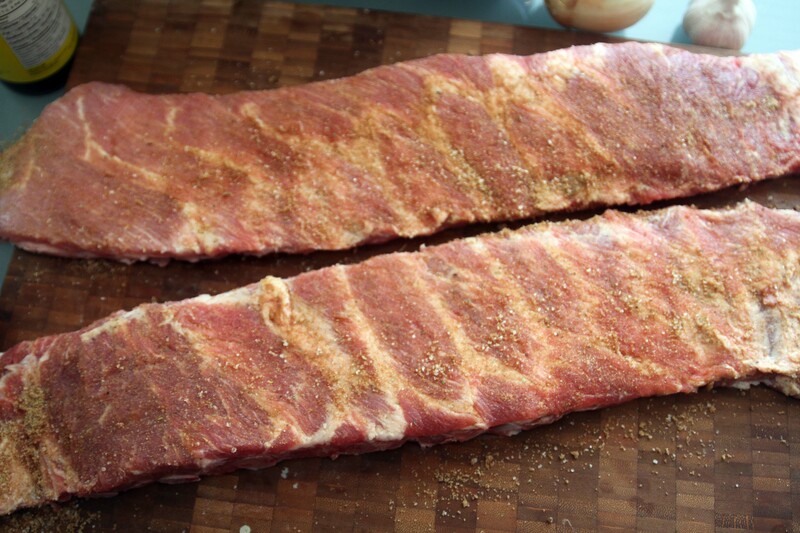 Generously spread the rub over each rack of ribs. Flip ’em over to make sure both sides are covered. 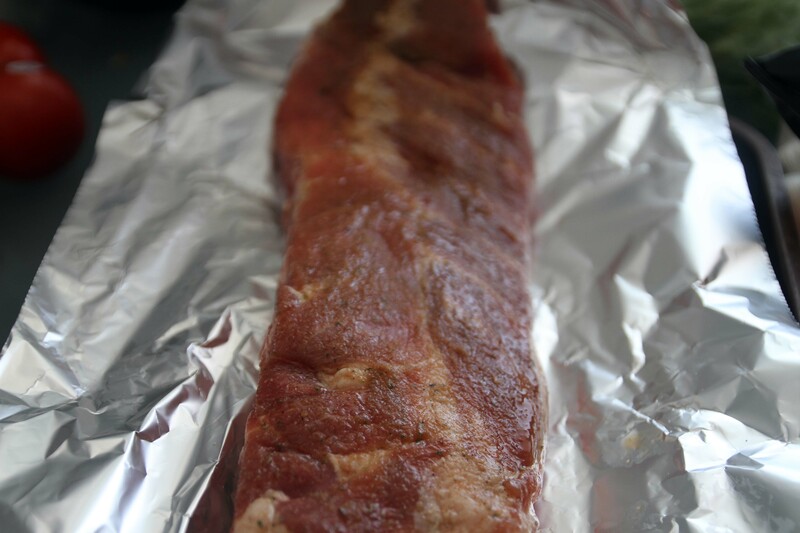 Wrap the meat up tightly in foil, and refrigerate overnight. 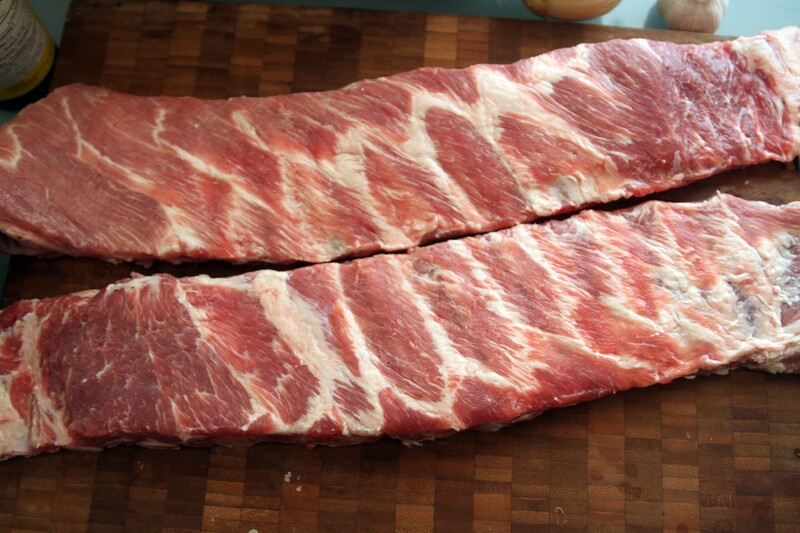 The next day, preheat your oven to 250 F, and then bake the ribs for 1 hour 30 mins. While they are baking, prepare the BBQ sauce! Dice your onions, and mince the garlic. In a large sauce pan, pour in the Cola, add in the Garlic and Onions, squeeze in the Ketchup, add a few dashes of Worchestershire Sauce, and some Lemon Juice. 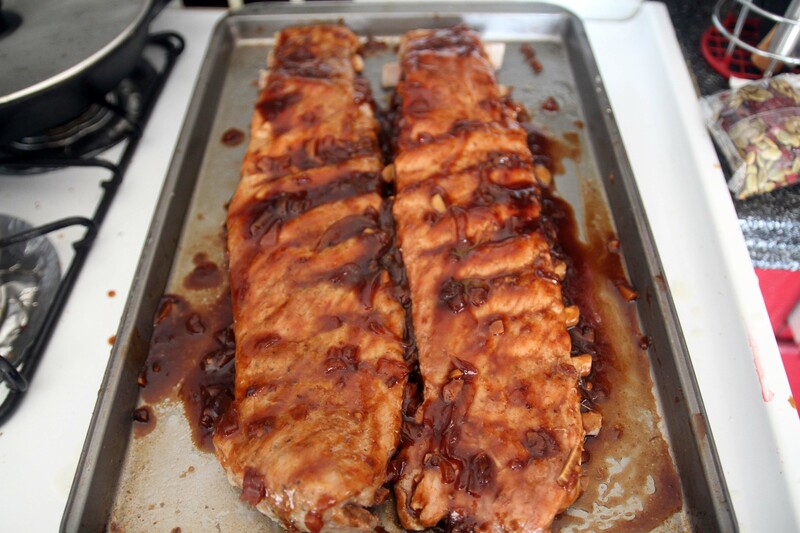 To sweeten it up a bit, add a couple spoons of Brown Sugar. I was running of out Ketchup, so I used some store bought BBQ sauce as a substitute. Protip: Use old flat cola. Flat root beer works well too. Crank up the heat, and start boiling that sucker down. 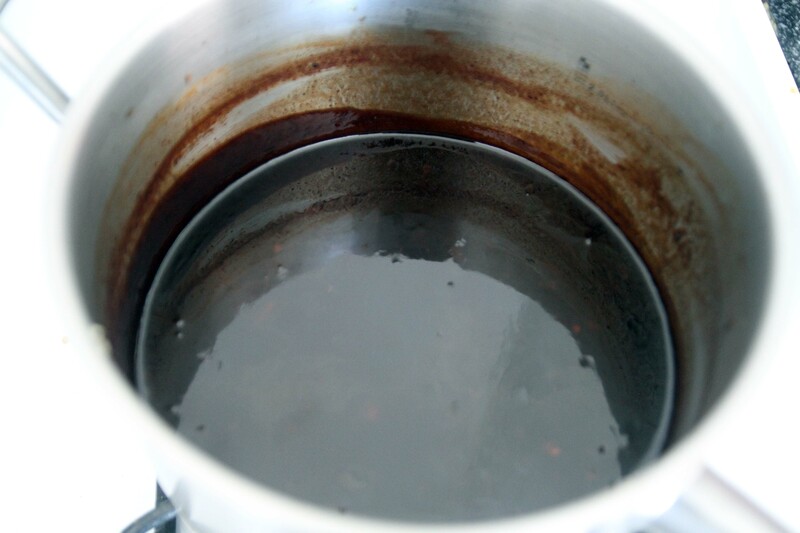 After 10 mins, turn the heat down and let it simmer for 1 hour and 20 mins, or until it thickens. At the end of time, it should be super dark, and thick. 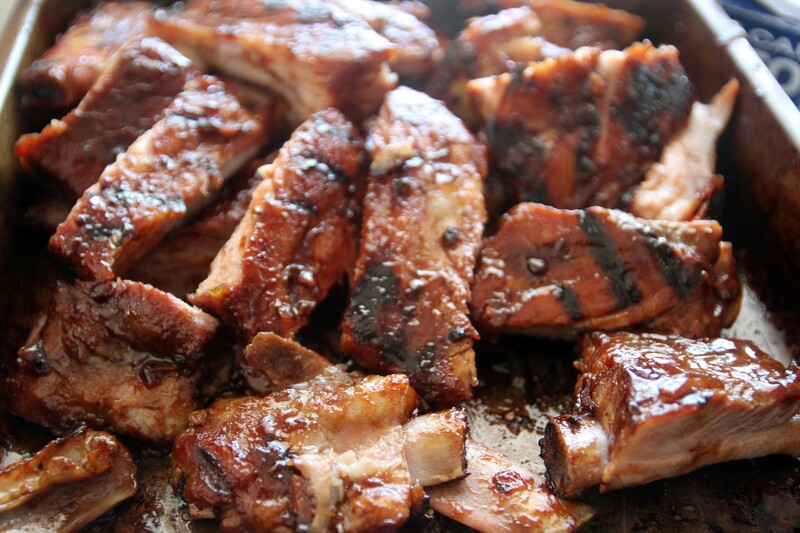 Take the BBQ ribs out of the oven and let them cool. At this point, all of your prep work is done. You can actually place everything in the fridge until you are ready to host your bbq! 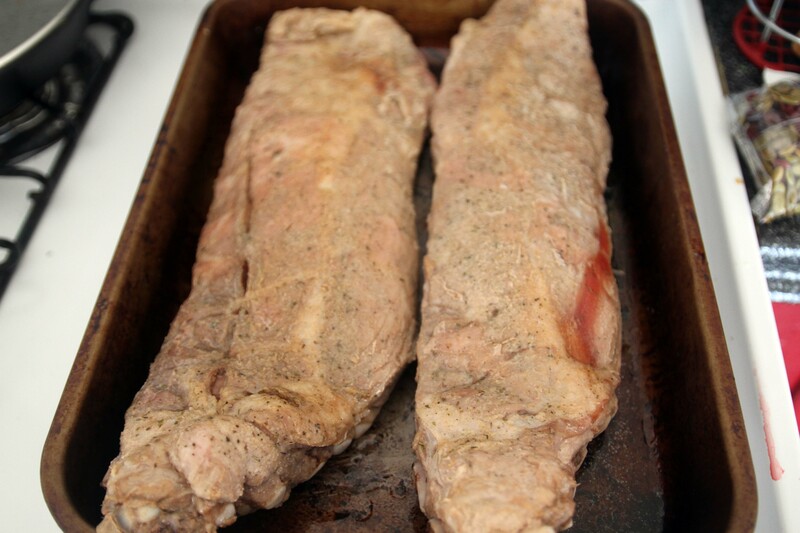 Place it on your pre-heated grill, and get some nice grill marks on the meat. Don’t be afraid to char some of the edges — nothing says homemade backyard barbeque like a little bit of character! Ta Da! 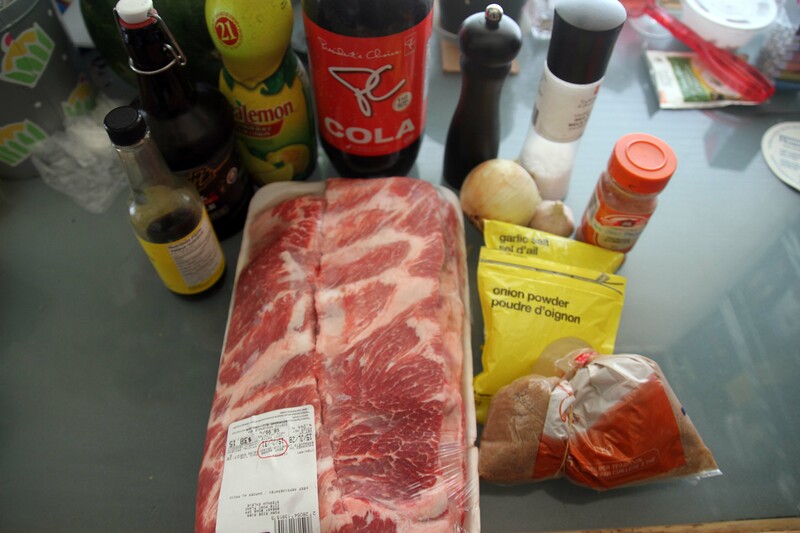 There you have it, Birthday Cola BBQ Ribs! These are nice and sweet and sticky, and meant to be eaten with bare hands! totally going to try these out .. the way you list out the instructions with pictures makes it idiot (=me) proof.